It’s been nearly a decade since the national housing market fell flat but recent housing market trends indicate now is the ideal time to get in the market and purchase a home, possibly one in the Las Vegas Valley. Times were tough in 2009, with a national unemployment rate that had skyrocketed from 5.0% to 10.0% in just two years, a housing market that was as shaky as it had been in 70 years, and consumer confidence at an all-time low. Fast forward to 2017, and the contemporary real estate market is steaming ahead nicely, unemployment is 4.3%, and the Consumer Confidence Index, a leading indicator of the nation’s comfort with our present economic condition, is continually eclipsing forecasts. What is on the horizon for the domestic housing market, specifically condominiums? And is now a good time to buy a new condo? The next 18 months will likely represent a great time to buy a home. Let’s look at five key predictions and possible trends that should continue to solidify the housing market and create a positive real estate environment across the nation, especially in the Las Vegas housing and high-rise market. According to the National Association of Realtors, prices are expected to rise about 5.4% in 2017, with the Las Vegas condominium housing market seeing an even bigger potential price appreciation, as stated before. In fact, to reiterate, over the past twelve months, the average price of Vegas real estate has appreciated by 11.6%, with a 65.4% increase over the last three years. The recession heavily impacted Vegas, but it is rebounding quickly. 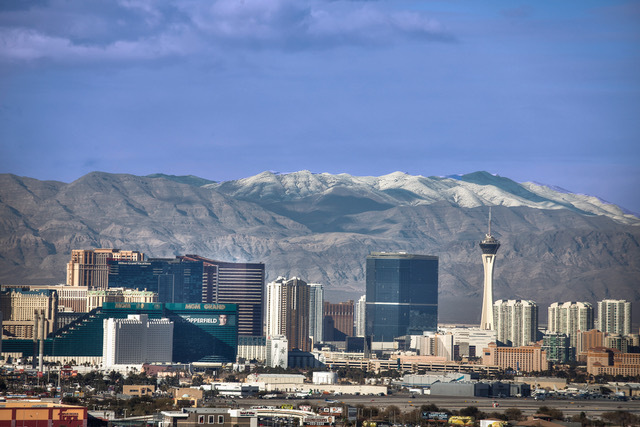 This makes the Las Vegas housing market a lucrative one to invest in, but also one that demands quick action on the side of the buyer – homes are quickly increasing in value. 2. Credit will be available: It is already easier for people to qualify for and purchase homes than it was just four or five years ago. Then, when you factor in the median home price in the Las Vegas area – currently about $218,000 – it’s never been a better time to purchase a home. Though the risky “subprime” loans of the mid-late 2000s are long gone, access to credit is now possible with as little as 3% down – thanks to the FHA loan program so popular today. From first time homebuyers to seasoned real estate investors, the number of people who can afford a condominium in Las Vegas has increased. Compare the average home price in the Vegas metropolitan area to other large cities. A $218k average price compares quite favorably to the $600k average in Los Angeles, $700k in Seattle, $605k in San Diego, $788k in Brooklyn, and $558k in Boston. 3. Rates will rise: Though prices are still low in the Vegas Valley, a combination of steady value appreciation, and a rise in interest rates will affect the affordability factor in the area. This is a nationwide phenomenon, not just relegated to the Las Vegas housing market, but experts predict the possibility of another increase to the federal funds rate. This key rate index has already seen four separate increases over the past two years – sliding upward from 3.25% (December of 2015) to the current rate of 4.25% (it hit this mark on June 15, 2017). This certainly drives the average interest rate, so you can expect to pay on a 30-year mortgage as this rate has increased from 3.66% in early 2015 to 3.92% in mid-2017. The bottom line – rates will continue to rise, and that will affect the affordability of housing. 4. More millennials and Gen Yers will buy new homes: According to a report available from the National Association of Realtors, they note that buyers 36 years and younger continue to be the largest generational group of home buyers. Millennials comprise a powerful and growing segment of the buying public, and they now represent the largest share of the contemporary workforce. In short, their buying power is huge, access to credit is good, Vegas-market home prices are still quite low, and interest rates are near all-time lows (though certainly poised to rise). 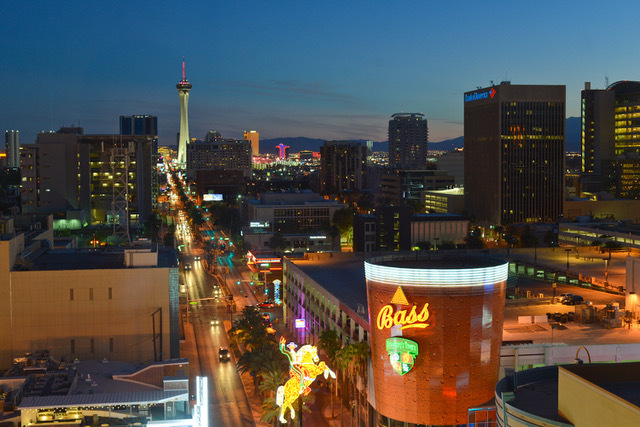 It’s the ideal time for millennials to get into the housing market, and it is a great time to consider a vibrant area like Downtown Las Vegas for their future home! Experts agree that home prices and housing market predictions will continue to rise nationwide, though interest rates will likely rise alongside these price increases. This all adds up to less affordability for the average buyer just a few years down the road, and a serious dose of motivation for those interested in becoming homeowners. It looks like now is the time to buy, and Vegas is a market that is poised to only get hotter.